Lonnie Wheatley, BIXBY, Okla. (March 28, 2019) – Last week’s Lucas Oil POWRi National Midget “Turnpike Challenge” in Oklahoma proved to be a challenge for young Cannon McIntosh. The 16-year-old from Bixby, OK, displayed dazzling speed over all four nights of competition aboard the Dave Mac Motorsports Toyota-TRD Spike No. 08 Midget but found little luck to accompany that speed. With no Midget racing action slated for this weekend, McIntosh will break out the Micro Sprint for this weekend’s Donnie Ray Crawford Memorial at Tulsa’s Port City Raceway on Friday and Saturday. Last week’s four-race POWRi Midget set in Oklahoma began at Creek County Speedway near Tulsa with McIntosh winning his qualifying race to earn the sixth starting position among the field of 59 entries. However, a cut right rear tire while battling for position at the midway point limited him to a 15th-place finish on the night after a quick tire change. With action shifting to Oklahoma City’s I-44 Riverside Speedway on both Friday and Saturday, McIntosh found himself among the lead mix on both evenings only to have Lady Luck shy away. After battling past NASCAR Xfinity title contender Christopher Bell on the final lap for a heat race win and then a strong qualifying race showing, McIntosh gridded Friday’s feature in third and soon found himself in second. Reeling in the race leader a dozen laps into the 30-lapper, the battery came loose and cut the potential victory drive short. McIntosh bounced right back on Saturday night, racking up the most points in heat race and qualifying race action to earn the pole position for the feature event. Battling challenging track conditions, McIntosh fell back several spots before climbing back to fourth and moving in to challenge Bell for third on the final lap when the fuel pickup dislodged and forced the car to lose power. Sunday’s “Turnpike Challenge” finale at Tulsa’s Port City Raceway came to an abrupt end when McIntosh went for a turn three flip on the final lap of heat race action after dicing for another car for runner-up honors. While he was able to return for “C” Main action, he was buried too deep to overcome the previous incident. McIntosh will look to turn his fortunes around at this weekend’s Donnie Ray Crawford Memorial before Midget action resumes. 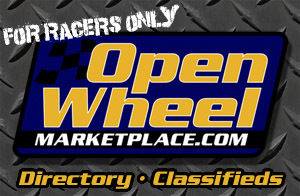 Along with Toyota-TRD, other marketing partners making the 2019 slate of events possible includes Sanders and Associates, Car and Fleet, Mobil 1, Speedway Engine Development, Best Graphics, Fieldhouse Gear, Precision Inspection, Panels by Smoke, Walker Performance, Sanders Wheels, American Discount Brake and Muffler, D&N Fabrication, Darling Ingredients, PJ’s and Hinds Family. 2019 Quick Stats: 16 races, 1 win, 5 top-fives, 6 top-tens. 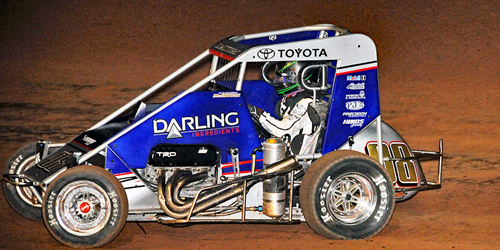 Up Next: Micro Sprint Cars “Donnie Ray Crawford Memorial” at Tulsa’s Port City Raceway on Friday and Saturday.